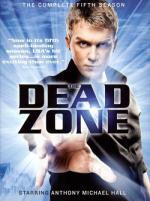 Based on the characters and story from the best-selling book by Stephen King, "The Dead Zone" is a unique psychological thriller that combines a rich mix of action, the paranormal and a continuing quest for justice. It has been a while since I saw this series. I was a bit late getting this set... and only watched these episodes on DVD so this is the first time I ever seen these episodes. Anyway... it has been so long since I saw this show I forgot how much I enjoy it. So far I watched the first disc... which is the first four episodes of the season. I really enjoyed all four episodes... but I especially enjoyed the episode called "Panic"... where Johnny, his son and a neighbor boy is in the house when the house gets broken into by a couple guys hired to kill the neighbor boy because he saw something he shouldn't have. Johnny uses his visions to try to get out of the situation. We finished off season 3 now. Was a pretty good season... several memorable episodes. I am finding when it comes to this series... no matter how long it has been since you have seen the episodes... there is just some things you never forget. 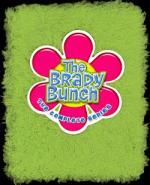 Some of my favorite episodes from the third season would have to be.. Of course the 3 part season opener where the Bradys go to the Grand Canyon... Then there was "The Personality Kid" which of course is the "Pork Chops & Apple Sauce" episode... "The Teeter Totter Caper" where Bobby and Cindy tries to break the world record... and then there was "Sergeant Emma" which was the episode where Anne B. Davis plays a duel role as herself and her cousin Emma who comes to the Brady house to take care of things while Alice is on vacation. Now we just have 2 seasons and 2 TV Movies to go. Four more episodes watched... You know I have developed mixed feelings about this series. Sometimes I am so enthralled by the series that I can not stop watching it. Other times the way things develop I wonder what they were thinking when they came up with it. But it seems that every time I start to feel that way I discover that it actually works if you just stick with the series. But that makes me wonder if that is why the series didn't make it. Every time the series took that turn that just didn't seem like it was the right direction... the series lost some of the viewers. And after a while it just lost to many viewers for the studio to continue the series. Brittany helped me finish off this complete series set. I found that I have enjoyed this series more today then I did when I was a kid. I am not sure why... but I did. Which was a pleasant surprise. I also enjoyed the reunion movies more then I previously did. And this was Brittany's first time seeing the reunion movies and the cartoons. I do have to admit though... I did not care for the cartoons at all. Over-all I am thrilled I got this series set... and look forward to someday doing a complete series marathon review of this set. The world's weirdest summer road trip continues - and in Season 2, the Tennysons encounter more action than ever. 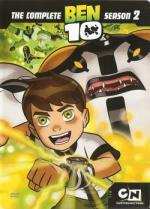 Fortunately, Ben starts to get the hang of the Omnitrix, unlocking two new alien heroes to transform into: Cannonbolt and Wildvine. Along with Gwen's "lucky" powers and Grandpa Max's gadgets, that just might be enough to keep saving the world from the evil villains that want to destroy it. This is one cartoon that Brittany got me hooked on... This is really a pretty cool toon. I am hoping to buy us the 3rd and 4th seasons before too long. And then there is still a cartoon movie and a live action movie of the series we can get. Entranced by magicians, comic strips and science fiction magazines, Ray Bradbury began "educating" himself at the Los Angeles Library three to five times a week. By 27 years of age he "graduated," having written several million words. In his early twenties, he supported himself by selling newspapers on street corners and writing for radio programs such as Suspense, Escape, CBS Radio Playhouse, and X Minus One. Bradbury has now written over three thousand short stories -- 400 of which have been published in such magazines as The New Yorker, the New Republican, The Saturday Evening Post, Amazing Stories, Colliers, Dime Detective, and McCall's. He has also written for Alfred Hitchcock Presents and for Rod Serling's The Twilight Zone. 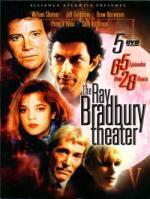 And now, showcased in this 5-DVD set are some of Ray Bradbury's finest works, featuring a plethora of stars like: 'Drew Barrymore', 'Jeff Goldb,um', 'Peter O'Toole', 'Sally Kellerman', 'Eugene Levy', 'Shelley Duval', 'Elliot Gould', 'Ray Sharkey', and, of course, 'William Shatner' (Captain Kirk - Star Trek). Finally got back to watching a few episodes of this series. I really been enjoying this show... it's a series much like The Twilight Zone... though IMHO not as good. But it is enjoyable enough to make it worth watching. This time around I watched 4 episodes.... 2 of which I really enjoyed. The Coffin which takes place in England about a man that makes himself a very special coffin. And The Emissary which is about a sick little boy who sends his dog outside to find him items and has a tag attached to his collar looking for company. Surprisingly the 2 episodes that the plot did not sound all that great for is the 2 episodes I enjoyed the most. Hit the road again with mild-mannered scientist David Banner (Primetime Emmy® Award nominee Bill Bixby) as all 22 Season Two episodes of 'The Incredible Hulk' smash onto DVD for the first time! After accidental exposure to gamma radiation causes him to transform into the uncontrollable and enraged Hulk (Lou Ferrigno), Dr. Banner travels from town to town seeking a cure. Along the way, he finds action-packed adventures that require his heroic ablilities and his alter ego's immense strength and power. Joining his quest are guest stars Pat Morita, Gerald McRaney, and Mariette Hartley in the role that won her a Primetime Emmy® Award for Outstanding Lead Actress in a Drama Series. Featured in this must-own-5-disc set are incredible bonus materials, including an all-new on-camera interview with producer Kenneth Johnson and more. This is one of the shows I used to watch all the time when I was younger. But other then the DVDs I have not see any of the episodes in a very long time. I still really enjoy the series... but it is one show that seems to have lost a little over the years. Some of the episodes do feel pretty dated. Especially with some of the clothing they wear and the fact that this particular disc had an episode with Disco music. Over-all I still find the show worth collecting/watching. Wow!.... I just realized... I haven't watched anything on DVD since the above! I haven't watched a DVD in 4 days now! Not just in the last day. No marathon last weekend. In fact very few "film" review last week and this week by everyone, sure I have less job to do to update the review list but I want to read more film reviews. Will you do your original/remake marathon this weekend or something else? I may.... if I get out of my funk here... some reason I just not been in the mood to watch any DVDs here lately. But I also have to see how I want to format it all. But if I can get myself together I will start it tomorrow. I have to take Brittany to the school early this morning to meet the bus for a school trip. hopefully when I get home I will be up to a movie or 2. My sister-in-law loaned this to me after buying it a while back. Told me it was hilarious... that I need to check it out. I am a fan of both Adam Sandler and Kevin James so I couldn't wait to watch it. Only problem... I still can't get her to buy widescreen only... if there is a full screen version... that is what she buys. So that part kind of sucked. But the movie itself... That I enjoyed... was very funny. It is definitely one I need to add to my collection. Ahoy, again! Beach yourself for Season 2 of the comedy series that's part of everyone's growing up, and you'll notice a big change. Ginger's hair is flame red. The sea is a forever blue. That's right. Season 2 is in 'color'. But one thing doesn't change for Gilligan and his pals: color them stranded. 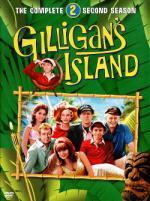 If Gilligan and friends could vote themselves off the island, they'd do it in a heartbeat. Their loss is our gain. In 32 second-season episodes (plus DVD extras), the three-hour tour (a three-hour tour) remains comically eternai for the skipper, his first mate and five passengers embarked out of Honolulu and marooned on a remote uncharted isle. Their ship was the Minnow but their impact is colossal: 'Gilligan's Island' is one of the most frequently aired programs ever. Welcome ashore, little buddies! This is one of those series that I like to watch when I feel like something just fun and silly. You don't go into something like Gilligan's Island expecting more then that. Brittany watched this with me when she got out of school today... is one of her favorite shows. So now that I finally finished season 2... I guess it is about time I start thinking about buying the 3rd season and completing the series. I just watched 4 more episodes of this classic series. I am actually surprised at just how much I am enjoying this show. Every episode has lots of laughs... which I was not expecting from a series such as this. Definitely worth checking out... if you would like to you can usually find the entire first season set in the Walmart Bargain Bin for only $5.00! 4 more episodes of this series. I am still enjoying the series very much. Even though she is still in the main credits on every episode I noticed that Nicole De Boer is not in nearly in as many episodes as usual this season. So far I watched 8 of 11 episodes... and only remember seeing her a couple times this season. On June 3rd the 6th (and final) season is released. I am planning on getting it as soon as it comes out so I can final see every episode.